The most requested thing that I get through my email is "Can you provide more trading examples?". Yes, I can! 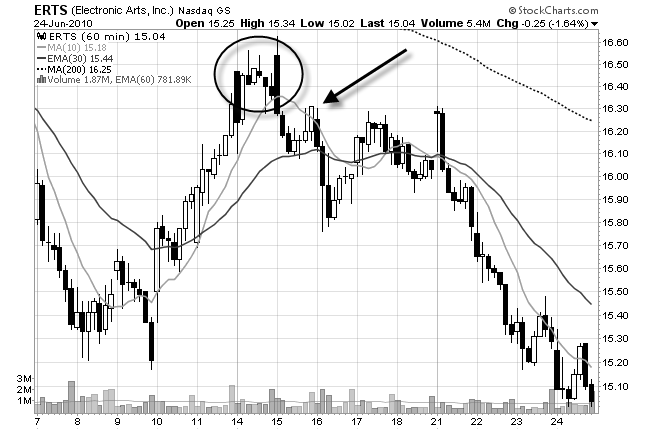 Here is an example of shorting a stock using the Traders Action Zone strategy (TAZ). 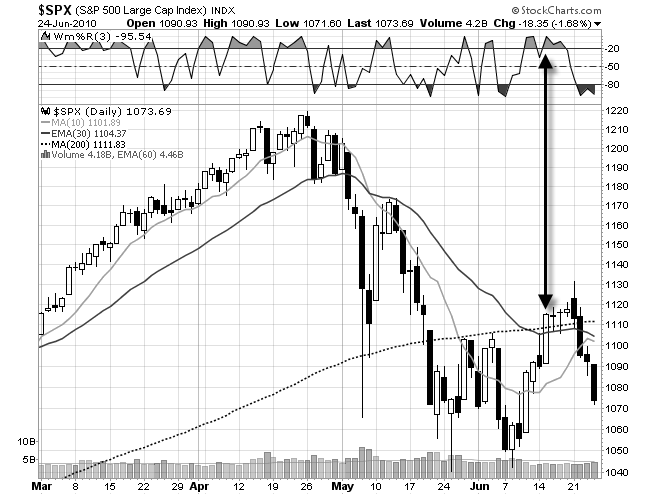 On June 15, the market was overbought. This means that I will be putting all my efforts into short setups. 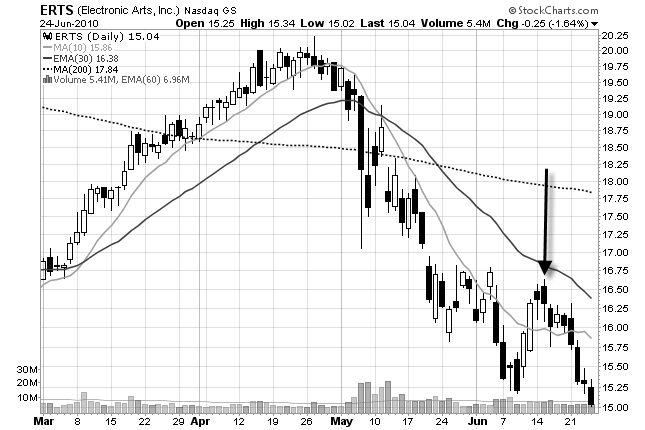 The 10 SMA is below the 30 EMA and Williams %R is overbought (higher than -20). That tells me that the market has a higher than average probability of falling. So, it is time to look for short setups. The arrow is where I shorted it. But, the important thing on this chart is the area that I circled. That consolidation is what is going to protect me from a loss (my stop will go above that.) It would be very difficult for traders to move the price above that resistance level. Why? Because prior to that consolidation was a huge run-up. So, the traders that were long during that run-up are now faced with an important decision. And the answer is yes! They should sell because the previous momentum has stalled. So, this selling pressure is what moves the trade in my favor. So, that is why I shorted ERTS. Swing trades don't always work out this well but many of them do. You could make swing trading more difficult that this. But why?